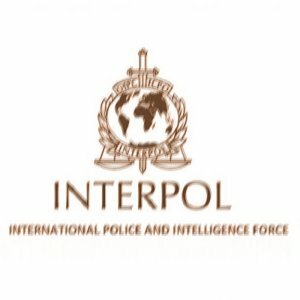 My name is Mr. Michael Nkono the Inspector General of Interpol Police Benin. The INTERPOL REGIONAL POLICE DEPARTMENT through our intelligence Monitoring Network, we discovered that you have an on going transaction $10.5 million dollars here in Benin Republic with the United Bank for Africa (UBA). After proper investigations and research on our monitoring network to know if you have received the $10.5 million dollars from UBA Bank, we discovered that the funds were not paid to you. We found your name and e-mail address on the monitoring network database and this proves that you have truly been swindled by those unscrupulous person(s) by sending money to them in the course of getting the $10.5 million dollars. Take note; i want you to stop communicating with those criminals in this Country, if we find out you are still dealing with this fraudsters, FBI Police will come to your house and arrest you. Right now we are working hand in hand with the Federal Bureau Of Investigation ( FBI ) to track every fraudsters down. Do not respond to their e-mails any longer they are scammers, you should be very careful because they have nothing to offer you but to rip-off what you have worked. The INTERPOL REGIONAL POLICE DEPARTMENT BENIN have set out Anti-graft agencies to trace all the offices in COTONOU involved in those criminal act to be brought before the law. For your own good, you are advised to stop all the communications you have with those fraudsters as we are monitoring every move now. Your funds are now in First Citizen Bank USA, a total sum of $10.5 million dollars were moved to the First Citizens Bank for you. Contact First Citizens Bank through the name and email address below. As soon as you receive the funds from the First Citizens Bank, kindly get in touch with us to know about the successful payment you receive OKAY.